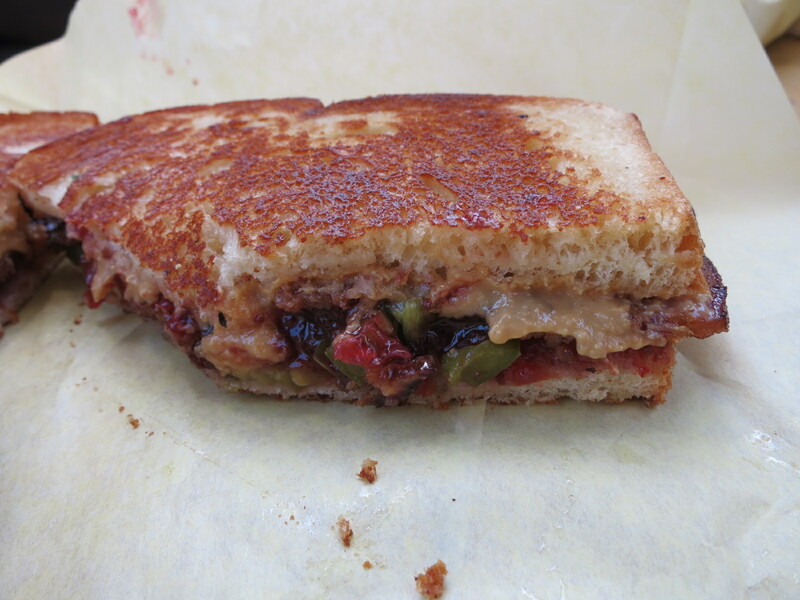 PBJ’s Grilled is a small stand in Portland that does a special take on peanut butter and jam sandwiches. Their sandwiches range from basic peanut butter and honey flavours, to flavours that are more outside of the box. All of their sandwiches are grilled to perfection, which elevates the PB&J to something special. They also make their own special peanut butter. My family stopped here for a quick lunch on our way out of Portland. There isn’t much seating around the stand, but we ended up just sitting at another store’s table down the street. My Dad had the hot hood sandwich, which is made with black cherry jam, roasted jalapeño, apple wood bacon, peanut butter ($6). This sandwich was really good. The jalapeños were tongue tingling spicy, but the cherry jam helped to cool things off with a hint of sweetness. The bacon was thick and smokey and made the sandwich more filling and meaty than some of the other sandwiches. My Mom had the wildflower, which was made with peach jam, wildflower honey, and peanut butter ($4.50). Even though it seemed pretty basic, this sandwich was still good. If you like sweet flavours and prefer a more classic sandwich, this is a good option. 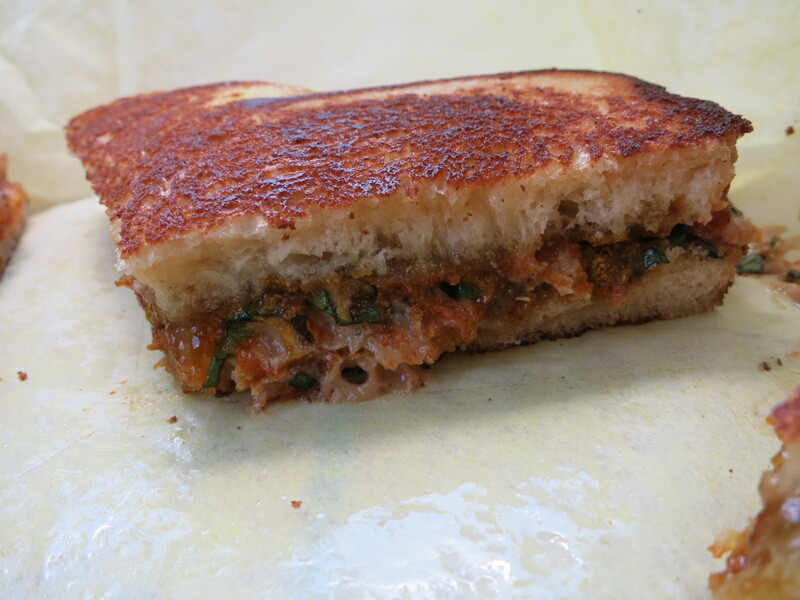 I had the spicy Thai sandwich that was made with peanut butter, sriracha, curry, orange marmalade, basil ($5.75). It sounds like a crazy combination, but it totally works and is very delicious. I really liked the hot hood, but this one was my favourite. I’ve never had a sandwich that has tasted like this before. It was sweet, savoury, spicy, and tart all at the same time. I actually make a home made version of this all the time for lunch now, since I live six hours away and I can’t just stop by PBJ’s anytime. PBJ’s Grilled is a really cool place and all of the sandwiches were good. I like how they do creative things and make you think about peanut butter and jam in a different way. Yes, for a creative and tasty PB & J sandwich.